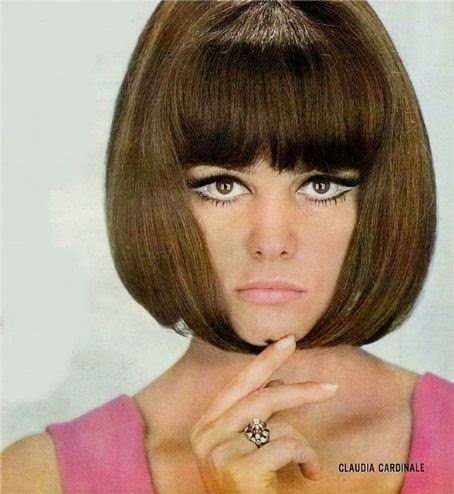 Here is a wonderful song by the great Italian singer Edda Dell'Orso, chosen to illustrate the beauty of legendary actress Claudia Cardinale. Claudia Cardinale (born in 1938) was born in Tunis, Tunisia. One of Europe's iconic movie stars and among the most versatile, Claudia Cardinale was born Claude Joséphine Rose Cardinale, her mother was French, father was Italian (Sicilian). 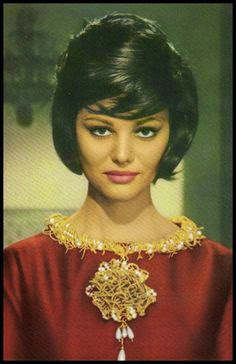 She had her break in films after winning a Tunisian beauty contest in 1957. She made her film debut in Goha (1958) and later that year had a role in the major international success "I soliti ignoti". Her early career was largely managed by producer Franco Cristaldi. Throughout the 1960's she appeared in some of the best Italian and European films including Luchino Visconti's "Il Gattopardo" ("The Leopard", 1963), "Rocco e i suoi fratelli" (1963), Philippe de Broca's "Cartouche" (1963), Federico Fellini's "8½" (1963) and Sergio Leone's epic "Once Upon a Time in the West" (1968). Cardinale never made a real attempt to break into the American market since she was not interested in leaving Europe for extended periods of time. But her many Hollywood films include "The Pink Panther" (1963), "Circus World" (1964), "Blindfold" (1965) and opposite Lee Marvin and Burt Lancaster in "The Professionals" (1966). Her performance in Visconti's "Sandra/Of A Thousand Delights" is regarded as mesmerizing, playing a Holocaust survivor with an incestuous relationship with her brother. In Comencini's "La storia" (from Elsa Morante's novel), Cardinale plays a widow raising a son during World War II and gave another well-received performance. Other memorable performances include Valerio Zurlini's "Girl With a Suitcase" and Mauro Bolognini's "Libera". Cardinale remains active in European cinema, her later films including "Qui comincia l'avventura" (1975), "Fitzcarraldo" (1982), "Un homme amoureux" (1987), "Mayrig" (1991), and "And now... Ladies and Gentlemen" (2002). The actress has been UNESCO good will ambassador for the Defense of Women's Rights since 1999. In 2006 (World Water Year) she symbolically extended such a role for the Defense of the Rights of the Absolute Woman: Mother Earth while declaring her support for Powerstock, a sustainable electronic music festival that proposes a "water-consciousness" for youth culture and seeks to make sustainability an integral part of mainstream culture. She is involved in many humanitarian causes and currently lives in Paris. 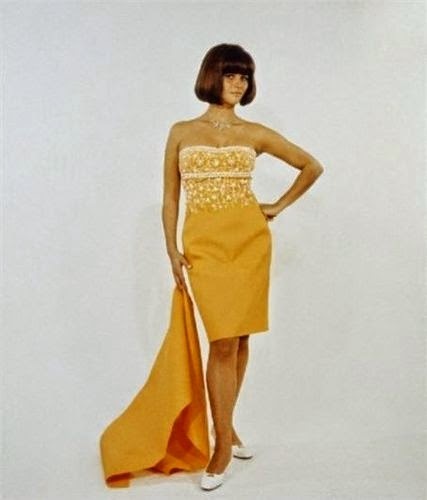 Enjoy Claudia Cardinale's glamour and chic!